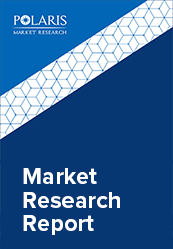 The global graphite market size is estimated to grow at a CAGR of 4.9% between 2018 to 2026. The growth of the world economy is the major factor driving the graphite market. Increasing demand for steel, aluminum and other metals from a wide range of industries has driven the demand especially for the synthetic electrodes, as this is essential for production of steel through electric arc furnace process. Moreover, graphite electrodes are also used for other metallurgy applications. The increasing number of novel and technologically advanced outlets globally that range from fuel cells to graphene is also expected to add to the sales figures of the products in the graphite market. Carbon fiber, a type of graphite product has witnessed double digit growth for the past four consecutive years due to its immense need and hence increasing demand from a wide range of industries including automotive, aerospace, wind turbine and several others. Light weight and high strength of carbon fiber attributes are the major advantages for its significantly increasing demand over its counterparts. Mounting use and hence production of lithium ion batteries that are used widely in electric vehicle and several electronic gadgets is yet another factor driving product demand as graphite is a crucial component of these types of batteries. Expandable graphite, new product that has been introduced in the graphite market few years back has gain significant momentum in 2016-17. The product is considered as a high quality flame retardant building construction material and is also considered environmentally. Globally developing construction industry has increased the need and demand for expandable graphite especially in China as its government has laid out several regulations supporting its use in building construction. Hence with such increasing demand from various industrial processes and yearly increase in product production has significantly influenced the graphite market in the present industry scenario. The global graphite market is segment based on product type, end-use and region. The product segment is further segmented into natural and synthetic. End-use segmented included are foundry, refractory, battery, lubricant and others. Synthetic graphite was the dominant segment in 2017 with volume accounting for over 2 million metric tons the same year. Rising demand for electric arc furnace in steel production is the major factor driving for electrodes, which is a major product of synthetic graphite. Among the naturally derived graphite, flake graphite is expected to be the leading segment by 2026. The product segment will capture majority of its share from amorphous graphite owing to the increasing importance of high tech technologies and rising availability of flake graphite. Battery and refractory segment were the leading end-use segments in 2017. Increasing product use in batteries and refractory materials is driving its demand. Foundry is yet another potential segment with the highest growth rate over the forecast period. Asia Pacific is expected to be the largest regional market in the global graphite market, owning to its largest consumption of graphite. China’s large manufacturing economy makes it produce around one-third of overall graphite globally. The country is also one of the top consumers of graphite worldwide. Other potential consumers include Japan, the U.S., India, Germany, Russia and South Korea. Product demand is scattered within the developed economies, mainly of the Western Europe, the U.S., Japan and China. The Chinese mainly dominated the natural graphite industry where as production of synthetic graphite is distributed among several nations and every single producer plays a significant role in marinating the global demand supply scenario. Some of the leading industry participants in the graphite market include Toyo Tanso Co. Ltd., Tokai Carbon Co. Ltd., HEG Limited, Graphite India Limited, Graftech International Ltd., Mersen Group, SGL Group, Energizer Resources Inc., Focus Graphite Inc., Mason Graphite, Inc., Hexagon Resources Limited, and Triton Minerals Ltd.